Whether Jackie O., Buddy Holly, Ghandi or the Dalai Lama: there is probably no other person who is more associated with a particular shape of glasses as John Lennon. Lennon made the small, round glasses his trademark. It’s normal these days to speak of John Lennon glasses, even when actually referring to an old round frame – otherwise known as panto glasses. In our John Lennon category of eyewear, we have also added models that, strictly speaking, were “only" designed in the style of the original John Lennon glasses. These include panto glasses by Algha and round sunglasses by Savile Row. We also, however, offer eyewear from the original “John Lennon Collection”. These are vintage glasses which are true to the original of models he wore. 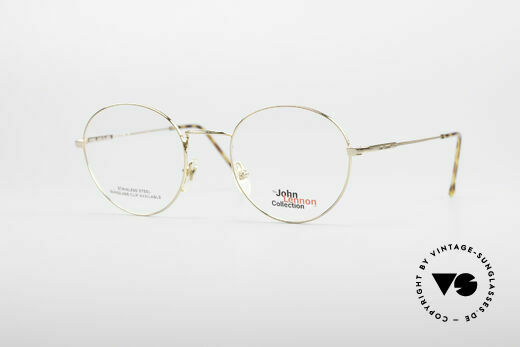 In this 80s collection, probably created by Yoko Ono to commemorate John, you will find all the classic glasses that Lennon ever wore. They include the small round “Imagine” panto glasses, the even smaller “The Dreamer” panto glasses or the “The Walrus” circular metal glasses. All these models are vintage glasses named after lyrics or songs of the Beatles or John Lennon. 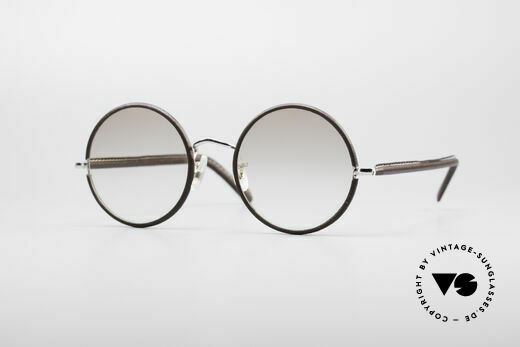 The original “John Lennon Collection” features all eyewear shapes ever worn by the musician. The vintage designs were named after John Lennon and Beatles songs. We have also assigned “John Lennon style” glasses of other manufacturers to this category. pink lenses: so, you can see the world thru pink glasses!